While some folks may focus in on the correct/rebuke others portion of this verse, I’m much more drawn to the idea of talking, sharing with people with “great patience.” With patience as the umbrella, even a correction would be done with utmost concern and gentleness. That makes sense. I hate “sparring” about verses in the Bible. Face it, there are tons of people who know the scriptures a lot better than I do and they have committed themselves to memorizing hunks of useful phrases, ready to debunk (correct/rebuke) and possibly even “expose” me and my understanding or interpretation of the words. I don’t go there anymore. But I’m thinking today that “preach the Word” may actually mean “preach Jesus” moreso than expound on scriptures. For me, that means to speak about Jesus and his life, to explain the concept of a Christ in this world, to share the impact of Jesus and His Holy Spirit within me, to give the gift of what I personally know. When I add the words from scripture to my personal story, when I share how those words helped me understand the truth of the Christ in my life, then it’s a package of love. I am not a leader/teacher/preacher. I am no Timothy. I am just a follower of that Way. But, what is preaching? Is it part of my role at all? Is it just proclaiming, teaching, exhorting, advocating, and admonishing or can it be all of these things? When I purposefully add “patience” to any of these definitions, the tenor of the words is much softened. It’s more like explaining or story-telling to a child, spoken with patience and even love. It’s not self-edifying, it’s not deprecating or sanctimonious. It’s not screaming or challenging. It’s not clever. That other kind of preaching/teaching is incompatible with patience, or at least, in my mind, they are not easily partnered together. Jesus is patient; has been and will be throughout time. God is patient. Love is patient. The other day, I read a cute story to some kids at the library in which Mortimer the mouse planted a seed and was quite disgruntled the next day when there was nothing to show for it. We all know that seeds take time to sprout. Why aren’t we as loving and patient with the Word? Now here’s a word we don’t use much any more: forbearance. I understand why, it has so many possible meanings, from patience to easy-goingness, to restraint and endurance. It’s actually a type of grace. Forbearance is usually undeserved. Therefore, as God’s chosen people, holy and dearly loved, clothe yourselves with compassion, kindness, humility, gentleness and patience. Bear with each other and forgive . . . And over all these virtues put on love, which binds them all together in perfect unity. And so, with these definitions in mind, I consider how the power of love can bind this unique grace to the other virtues, how love must be luxuriously forbearing. In fact, all of these virtues only become so when grace or forbearance is present. Forbearance is a key to virtue. How many paradoxes will I discover for myself before I can actually embrace them? 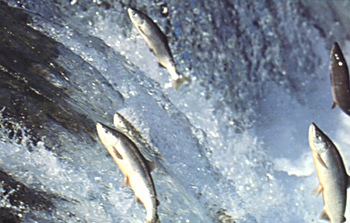 When will I really swim upstream like the salmon? What will finally drive me to act the opposite to every habitual behavior and response in me? When will I forbear instead of rail against those personal injustices, those unlovely remarks, or those exploitations? To live out true paradox, like forbearance and love, requires the deepest inner strength and self-awareness. Otherwise, the day to day slips into victim-thinking or doormat behavior. Forbearance must be conscious, mindful, intentional, and eventually, after a lot of practice (in the Presence) and interplay with the Holy Spirit, it might become a norm. Now there’s a great big hairy audacious goal. We are asked to cultivate unity by using the “bond of peace.” A bond is something like a rope, handcuffs or Gorilla Glue. It’s a connection, a relationship, a hookup. It’s a union, an agreement, a promise. With these, unity is possible. And without, what do we have? Just watch CNN. Make every effort to keep the unity of the Spirit through the bond of peace. There is one body and one Spirit . . . one Lord, one faith, one baptism; one God and Father of all, who is over all and through all and in all. A bond of peace cannot be achieved alone. It takes at least two. Oh, I suppose there is inner peace, but even that comes from an agreement between the mind, soul & spirit. Peace is not achieved by threat, dictatorship or commandment. That is just an absence of conflict. A true bond of peace comes out of mutual desire, love, commitment, and compromise. There are a couple of people I know from my work who have learned one of the first steps toward creating bonds of peace. One of their distinguishing characteristics is not taking personal offense (even when it’s intended). I watch them in difficult or tense situations and it’s like the verbal attacks or innuendos float across their spirit lakes. They know how to listen fully. They don’t grab onto words or tone of voice and prepare a response ahead of time. They know how to wait. It’s disarming in the best way. In this way, they open a door to unity and understanding. I want this but I’m not very willing to practice. I confess, I’m always taking offense. I’m always expecting the worst in a situation. 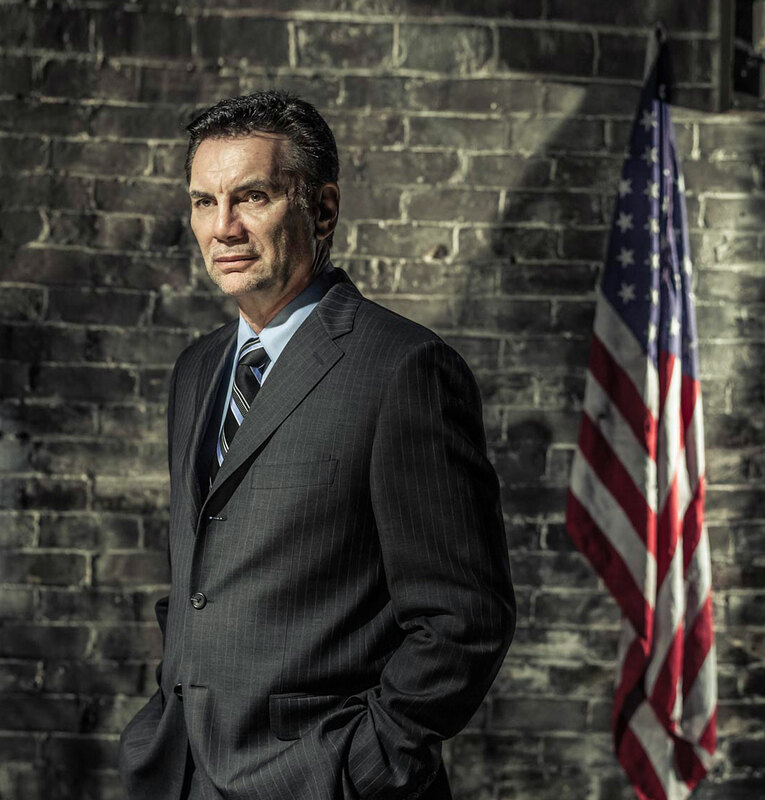 I critique the tones, the eyes, the body language and if I come up with an attack assessment, I ready my own arsenal. I’m quick. It doesn’t take long to raise the battle flag. 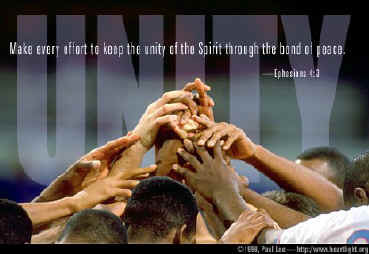 Unity is all those “ones.” One body, one spirit, one God and so on. Can I let go of mine long enough to enter the One? It begins with small steps, I think. Bonds with family and friends. A peace driven by love. And so I take a breath today. I take a breath and ask for mindfulness again, to remember, to make peace.